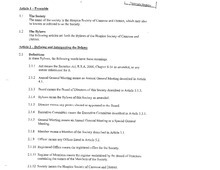 Download "HSCD Articles of Association - Bylaws - July 2011.pdf"
Pam is a registered nurse, presently working as a palliative nurse consultant with AHS. She states that she is privileged to meet individuals and families at a difficult time in their lives and, hopefully, together with the health care team, can make a difference for them. She has a special interest in caring for people at end of life which was led her to working with the hospice society for the past 5 years. She is constantly amazed and grateful for the compassionate community we have here in Camrose. As a child growing up on a farm outside of Camrose, the cycles of life and death became a pathway to personal discovery for Janelle. Curiosity about these wonders led her to education, compassion and seeking to support others, ultimately through nursing and continuing care. She observed the isolation and loneliness that can accompany those who are facing sickness and suffering and as such, was compelled to work with Hospice. She considers the genuine commitment from the board and within our community to be rooted in a deep respect for life and the desire to see it maintained with dignity. She considers this to be a great and humbling task. When time allows, she enjoys a wide range of hobbies including hiking, kayaking, reading, working out, camping and playing Pokémon Go with her little boy. Bryan is one of the Society’s new board members, appointed at the AGM in September 2017. He currently works as an Accountant at Grant Thornton in Camrose and is working towards achieving a Chartered Professional Accountant (CPA) designation. While he does not have experience with hospice care, he believes that this is a valuable service that helps patients and their families get the best care possible through difficult circumstances. He is also a supporter in helping out in areas that benefit the community as a whole and is looking forward to bringing his accounting experience to the Treasurer position. Camrose has been Treva's home for 28 years. She teaches yoga and is actively involved in many social and environmental issues. 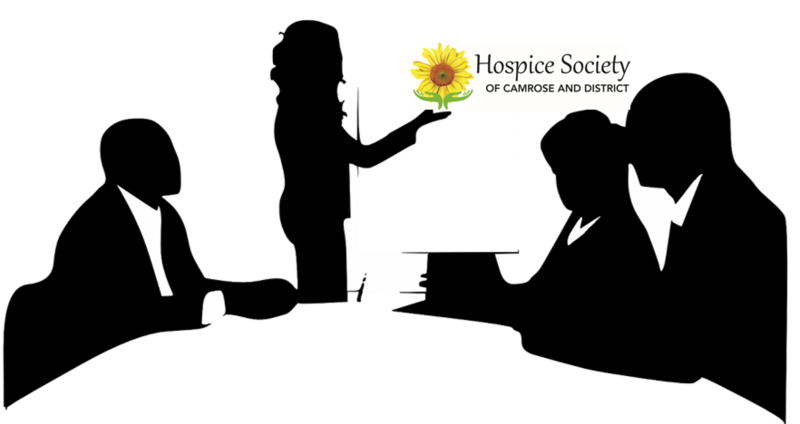 Being involved in hospice care has been a passion for several years. Her greatest wish is that all beings be lovingly cared for as they live fully into death. Treva is one of HSCD's founding members. Presently Susanne works for AHS with Camrose Home Care. She has been with them for over 10 years and appreciates the experiences through this job. Working in the different areas have provided exposure to many different families, conditions, the strengths and needs of people. She also spent over 3 years with the palliative/acute team. Susanne grew up in Calgary. Her post secondary schooling was done in Winnipeg with some theological study followed by RN studies at Grace hospital. She married Randal in 1991 and moved to Calgary. After a few years of nursing in the Foothills hospital in Calgary they decided to get involved in volunteer service overseas. Their first placement was for 3 years in Cairo, Egypt that had a teaching position for Randal. Susanne wasn’t able to use her nursing there due to language barriers so instead she taught English as a second language and connected with an orphanage. They had their first child in Egypt. Upon returning to Canada for a few years they were still were intrigued with doing more volunteer work with MCC overseas. Their next term was for 5 years in Beirut, Lebanon. Here they managed the program. Susanne became involved with migrant workers and Sudanese refugees and Randal ran the programs through Lebanese partners. They raised 3 children there. Upon returning to Canada in 2004 they decided to settle in Camrose to be closer to Randal’s parents.